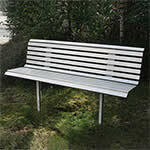 Outdoor bench seating ideal for parkland, schools and retail areas. 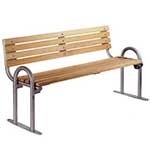 Our Drayton outdoor bench seating is designed to allow the customer to customise their choice, these benches are available as either a bench (no backrest) or as a complete seat (bench with backrest). Choose from two constructions either the corrosion resistant 304 grade stainless steel option or the hot dip galvanised version which is then powder coated in a RAL colour of your choosing should you wish to match existing colour schemes. 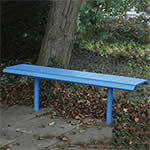 All of the Drayton bench seats are supplied with ragged legs to be concreted in for additional stability and strength. The Rochester and Chatham seats are our bolt down options, these seats feature a 304 grade stainless steel frame as well as FSC certified high quality Iroko hardwood. 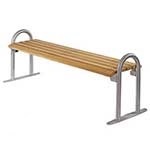 These aesthetically pleasing benches are designed to withstand the toughest conditions whilst requiring a minimal amount of maintenance.